Being a mom is the best, hardest, most interesting, most fun, and most maddening thing I've ever done. I have three wonderful boys and I always want to remember those beautiful moments of laughter and joy we’ve had together. I am lucky enough to have had some amazing portraits with my family over the years and they become more and more special as we grow older. 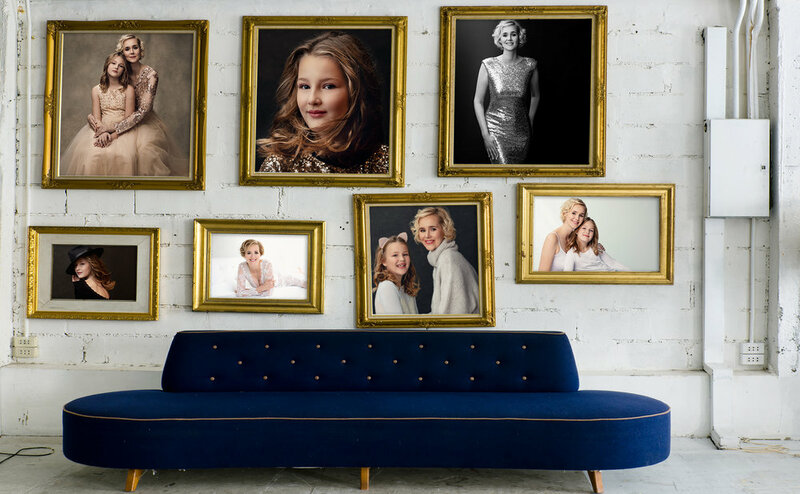 I think every woman deserves to have a glamorous portrait with her loving children where they all look at their best. That’s why I decided to launch a very special project dedicated to all moms. I will be photographing and showcasing 30 mothers with their children capturing and celebrating the bond they have together. You might become one of them. You will also get portraits of you alone, the kids alone and all other combinations you would like. I want to help you see what those who love you see when they look at you. I want you to have photographs that are a permanent reminder of just how gorgeous you are right now. I want your children and grandchildren to have beautiful photographs of you they can cherish for the lifetime. Read the conditions below to apply for participation in the project. for your children when you are no longer here. Let them find BEAUTIFULLY PRINTED PHOTOGRAPHS that they will treasure and pass along to their children and their children’s children? I am opening call for new entries. Whether your children are girls or boys, little, teenage or adults you can enjoy a day just for you together, where you will star like someone who just stepped out of the magazine cover. You will be prepared ahead of time with ideas for what to wear. Suggestions for facials, haircuts and manicure. You will have access to my luxury studio wardrobe of more than 60 dresses and I can help you source the dress of your dreams. My professional make-up artist will get you ready to star. While you are getting pampered you can enjoy a glass of champagne and get tips to take home regarding hair and makeup. The shoot is a fun experience where you get to pose in many different poses and outfits to music and possibly a snack if its a long shoot. After some weeks you will be shown the best images from the shoot and can purchase what you love. As a gift with purchase you get one xtra print worth 295 Euro. Each mom will be featured on social media at the end of the project with their before & after transformation and a short story about them. My aim is to show the love between moms and children and giving women an experience to rememeber with her children. Ultimately i want to empower every woman who steps in front of my camera with my photos making her more confident and happy about herself. You could get all this for free…..
All I ask is that you pay the Hair and Make up fee of 160 Euros - 200 Euros depending on amount of participants.
. Please write in your application who you would love to be photographed with. and free print with your purchase worth 295 Euros. To discover how to apply read the conditions below (scroll down). 2. Tag in the comments (under the call-for-participants) a woman you believe deserves a “Mother & Daughter/Son” experience and explain why. This can be YOU! 3. Fulfill the participate contact form and If selected you will get a phone call to set a date and get your ready for the shoot.